“I just want to be happy,” Emma-Lee says with an apologetic shrug. It's not that the gorgeous, raven-haired songstress is miserable – far from it. 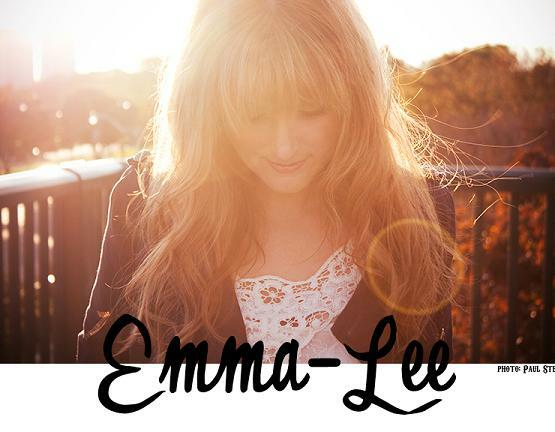 With her first EP “The Waiting Room”, a new band to tour with and a fresh sound that pairs her hot, soulful voice and fiercely personal lyrics with elements of bossa nova, soul, folk and drum & bass, 22 year old Emma-Lee is exactly where she wants to be. It's just that, in an industry which thrives on genres and categories, she often feels misunderstood. Ultimately, her many influences have resulted in her music being a melting pot of sounds. “I try to balance the intelligence and substance of folk and jazz with the catchiness and feel of soul and pop,” she says on the subject. That fits. And it's certainly in keeping with Emma-Lee's best-of-both-worlds philosophy on music, which allows her to wind a variety of musical styles around her delicate lyricism and the steamy voice that indie-music.com suggests “could peel the paint off your walls.” Think Sade or Everything But the Girl's Tracy Thorne and you'll be getting close. Emma contributes her wealth of musical influences and education to her family, all of which play an instrument or sing. Raised on everything from Led Zeppelin to Ella Fitzgerald, she's soaked up about seven decades worth of artists who have paved the path for her own musical journey. Today she is blazing some trails of her own. In 2004 her song “Hypnotized” placed in the top 10 of Mix 99.9's Song Writing Contest, she is captivating audiences around the city at venues such as Yonge-Dundas Square, Healey's, The Phoenix and Nathan Phillips Square. She was also nominated for “Best Female Artist” at the 2005 Toronto Independent Music Awards and she has plans to release her first full length CD in 2006! * Your song 'Better Days' has just been added to Mesmerized station! * Your song 'Better Days' has just been added to Voices And More station! * Your song 'Hypnotized' has just been added to Max Station station! * Your song 'Hypnotized' has just been added to bENZENE fILTER station! * Your song 'Hypnotized' has just been added to KIAC Hitline station! * Your song 'Hypnotized' has just been added to Pop station! * Your song 'Hypnotized' has just been added to Jazz station! * Your song 'Hypnotized' has just been added to Hood Tales station!